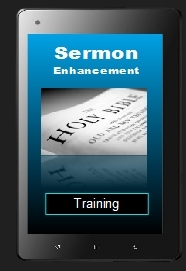 Sermon Enhancement - (EPT) Excellence Private Training Sign up online today! PaSTOR D sign up today for private training (In-Home). We provide piano, guitar, bass, keyboard sequencing, voice, song writing lessons. Also audio & video production graphic design, website designing and ministry preparation & bible training. Preparing sermon notes and creating Bible study literature is a common facet of my daily agenda as a preacher of the Gospel. In the pursuit of excellence, and like many preaches, I had no coaching in sermon preparation and decided to explorer better ways to give sermon outlines more impact and communication flow. Let us come together for a season and work toward beautifying your sermon notes for God’s glory and the spread of the Gospel. I do sincerely enjoy this field of study and appreciate the importance of writing and communication skills. Your Ministry Staff can also benefit from this type of training. It’s a mustard seed size cost as compared to the colossal tuition of formal schools. Formal school training is extremely valuable but usually do not include sermon preparation. My private classes include many levels of general computer training, caters more to your personal needs,and is more engaging. I humbly pray you understand that my inviting you to work with me for a season isn’t presuming you doesn’t know how to prepare a sermon. Rather, it’s just to help you realize the potential of your sermons with a bit of private coaching. It will save you a great deal of time considering how busy your ministry itinerary can be along with knowing only a little about the computer. I look forward to assisting you in this regard. Pray about it, call me, and lets get started. Absolutely! The congregation will begin to recognize the difference in your sermon presentation. IMPORTANT! Lessons are based strictly on using the King James Authorized Bible! Resolving conflicts about Bible Versions is “My specialty Subject” and is available for those of you that are interested in this very controversial subject. Do you need help on constructing more effective sermon outlines? Learn more effective ways to choose sermon "Titles"
Learn how to search for sermon aids on the Internet such as "word definitions (Hebrew & Greek), wise quotes, sermon illustrations,and Bible commentaries, etc. Ministers - Consider These Classes!